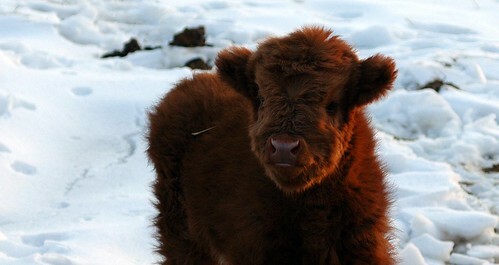 Highlands baby, originally uploaded by jahansell. Such a sweet one! I love the furry hide and the color of this gorgeous creature. Your photo of it in the snow is wonderful. Magnificent animals. I also saw momma. She is fabulous. It is hard to imagine this on a bun with pickles and onions.